In the state of Alabama, laws governing premises liability injuries encompass everything from “slip and fall” accidents to injuries resulting from structurally unsound surfaces. 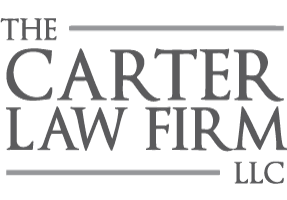 Having assisted Alabamian families for more than 30 years, the father-son duo at The Carter Law Firm, LLC have the experience and skill-set necessary to help you and those you love most secure the future you deserve. Perhaps unsurprisingly, slip and fall cases are the most common type of Alabama premises liability claims. These claims often occur inside or outside of a building, or in parking lots, entry ways and backyards. Generally speaking, these claims involve injuries caused by debris and/or spilled liquids, or on surfaces that are, for whatever reason, unsound. Many of these injuries are the result of a property owner’s negligence. Cases involving premises liability injuries are often among the most difficult cases to prove under Alabama state law. Numerous factors must be considered when determining whether or not you have a legitimate claim against a property owner or business. It’s important to keep in mind that a business or property owner is not responsible for an injury simply because it took place on their property. Indeed, for you to receive monetary damages, you must prove that the business or property owner either acted negligently or failed to rectify a structural deficiency. It is absolutely critical that you gather as much evidence as possible following a premises liability-related injury. Employ a camera or cell phone to document the area where you fell and and the hazard (i.e. spill, debris, etc.) that caused it. Write down the names and telephone numbers of anyone who may have witnessed your fall. Make sure to report the incident to management and describe your injuries. This keeps the business informed of the incident so that they can make their own report. After you’ve done all that, contact an experienced personal injury attorney as soon as possible. The Carter Law Firm, LLC has extensive experience assisting Gardendale and Fultondale residents with premises liability injuries. Call (205) 808-0002 to schedule a free consultation to discuss your case.